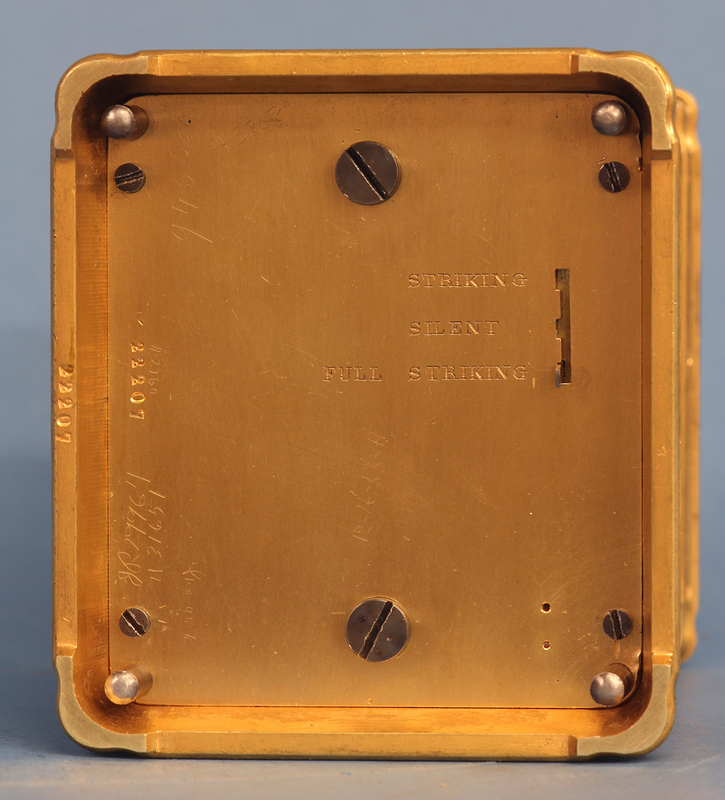 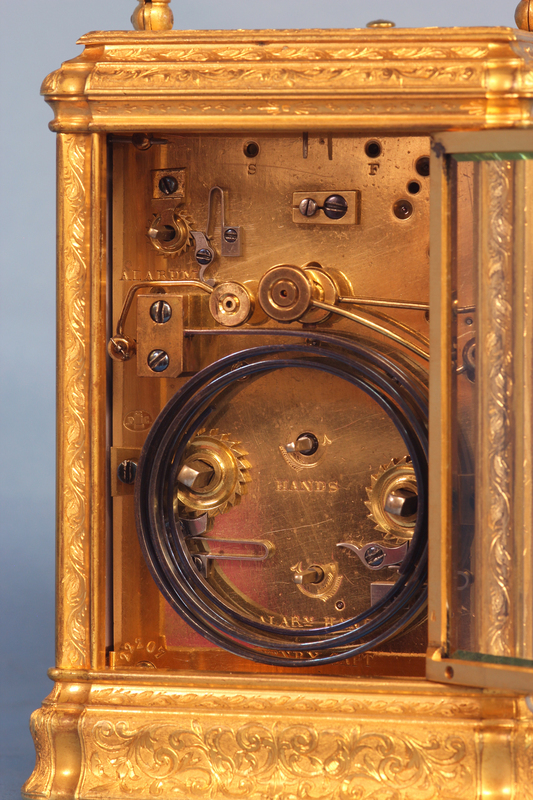 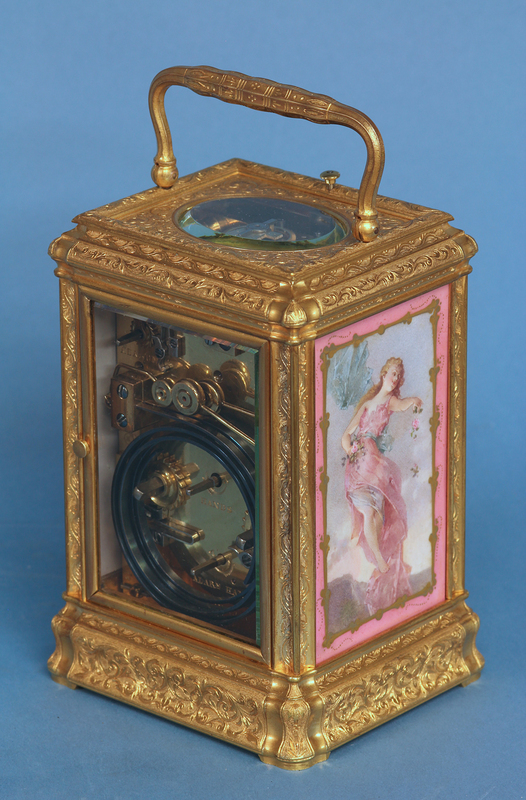 c.1880 French Engraved Porcelain Paneled Carriage Clock. 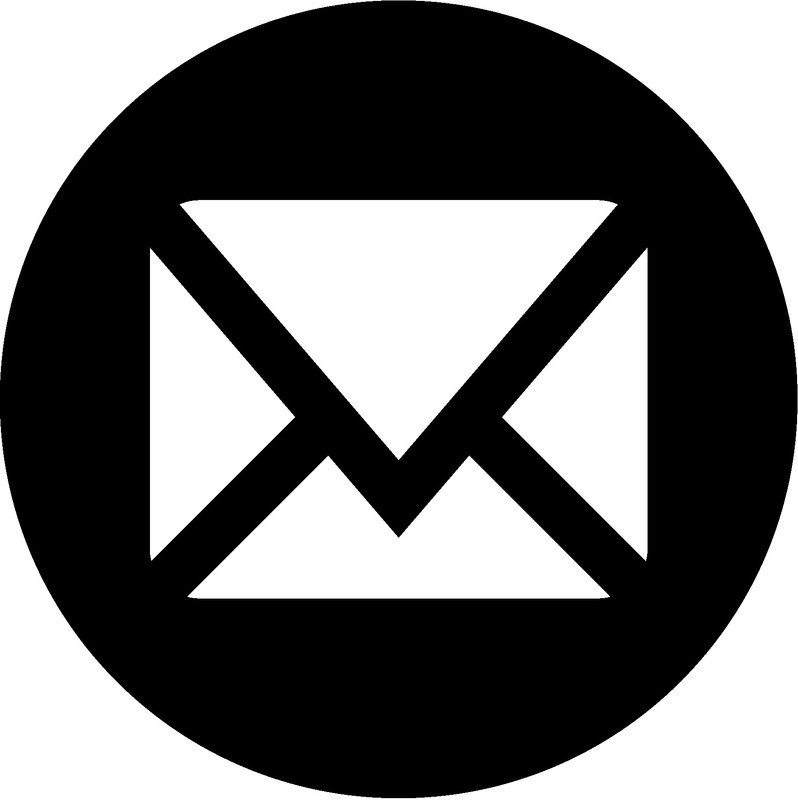 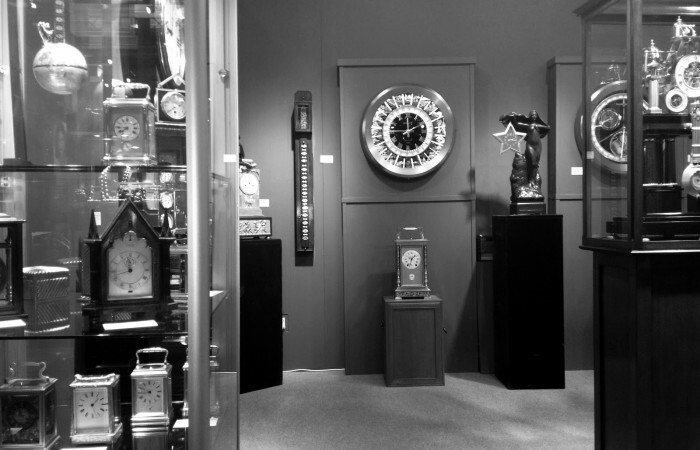 Retailer – Henry Capt., Geneve. 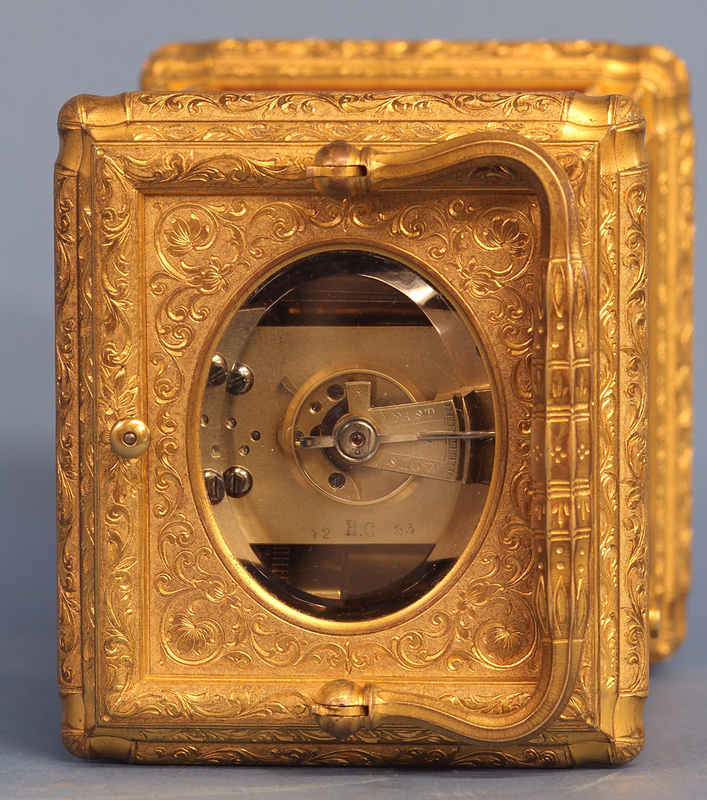 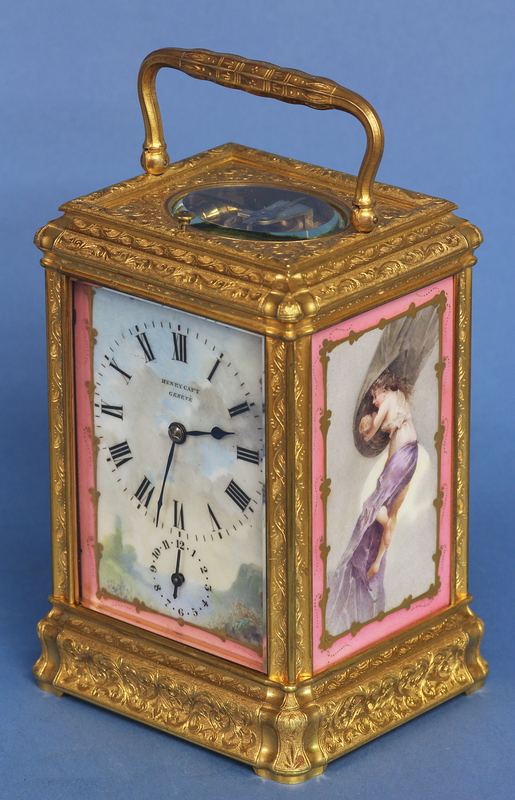 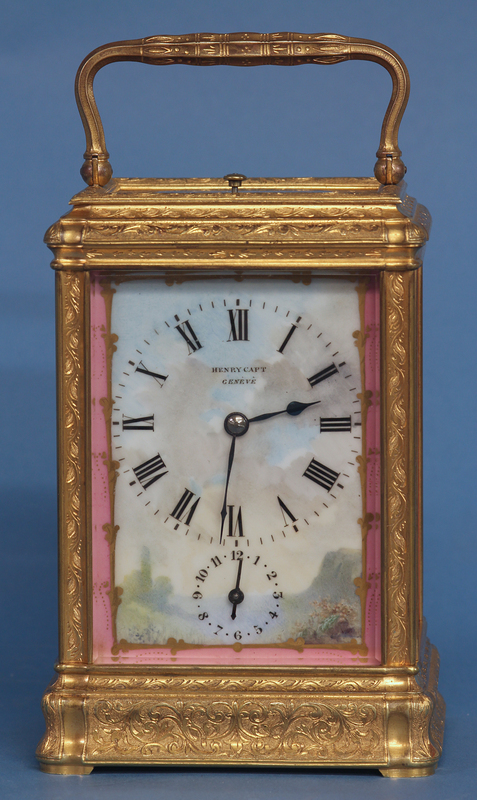 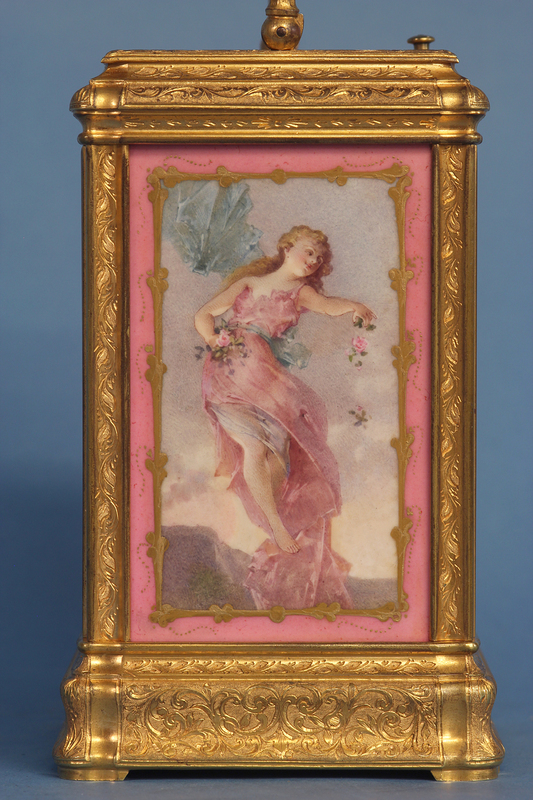 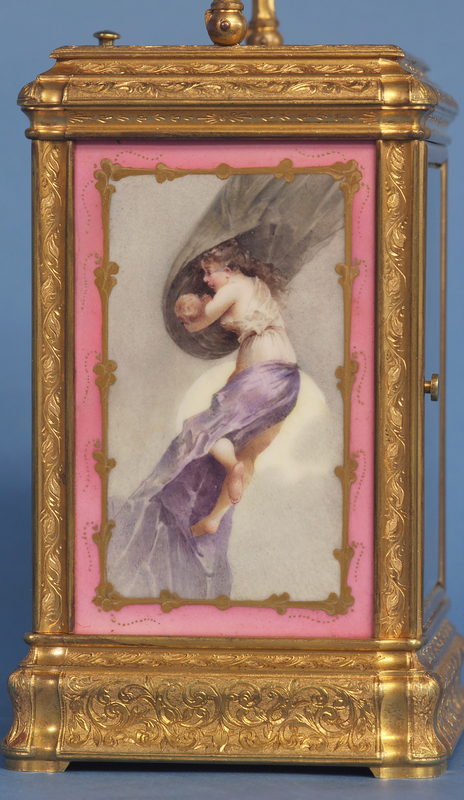 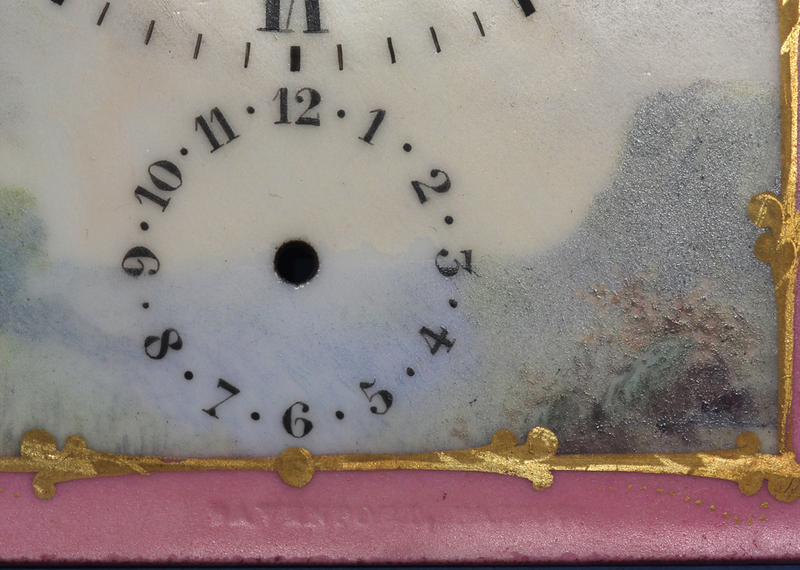 Late 19th century elaborately engraved gorge-cased porcelain paneled grand-sonnerie carriage clock signed by Drocourt, Henri Capt and Davenport.